Ugly, but almost the best bike I’ve ever ridden. Almost. “Hold me closer, ugly dancer.” That’s the song I found myself singing to the almost-wonderful Triumph Tiger Explorer XC recently as I explored the famous roads of Peak District National Park. It is a bike that is so close to being exactly the sort of thing I want but falls horribly flat on just two points. The first one is, admittedly, subjective. The Tiger Explorer XC is stupid ugly. 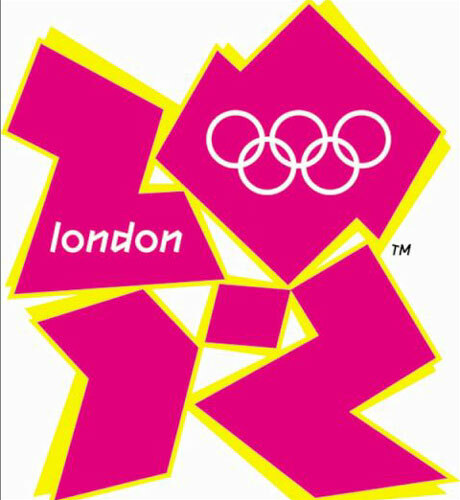 It’s a machine that looks to have been designed by the same bloke who produced the 2012 London Olympics logo. There are many good things to say about the bike but I’m afraid that no matter how I turn my head or squint my eyes, I cannot say it looks good. This is the girl in the bar who always goes home alone. But the 1,215-cc three-cylinder machine has so many great qualities that it almost makes up for its looks. Almost. As Samuel L. Jackson says in Pulp Fiction, personality goes a long way. But still there is one other aspect of the Tiger Explorer XC’s personality that is impossible to overlook and which eliminates it from any list of bikes I’d consider buying. I don’t want to be too negative of an otherwise amazing motorcycle, though, so let’s look at some of the good things first. And there are a lot of good things. Apparently the “XC” stands for “cross country,” but it could just as easily mean “extra comfortable.” I took on more than 130 miles in the Triumph’s saddle and this was after having already pushed 160 miles from Penarth to Stoke-on-Trent on my own bike. But at the end of the day I would have been happy for more. Seat, wind protection, heated features and riding position all combined to create an experience that was anything but tiring. The seat was large and offered an unobtrusive comfort. You didn’t notice it. The day’s weather was such that I didn’t need it but the seat came with heating for both rider and passenger, the pillion seat being equally large and providing plenty of space for an actual-sized human. I will say, though, that the angle of the seat was just a little strange and had me occasionally slipping forward on hard stops. I was amazed at how well the screen worked. Wind protection, meanwhile, was surprisingly effective. I would not have guessed from looking, but the windscreen and basic fairing offered a happy cocoon that kept the wind away from everywhere but the very tippy top of my helmet. Within that space I was warm and happy and somewhat shocked at what an incredible difference wind protection can make. I made a promise to myself to invest in better wind protection for my own bike before the next winter. Part of that protection involved hand guards, which kept my frustratingly-susceptible-to-cold hands from hurting as they usually do when spending too much time in a cold wind (I fell through the ice as a teenager and the ensuing frostbite made me less able to tolerate cold in my extremities). Helping things, of course, were dual-setting heated grips. The Tiger Explorer XC produces a whopping 135 bhp, making it the most powerful vehicle I’ve ridden thus far, but everything worked so beautifully that all its power and torque (89 lb. ft.) were easily managed. Wide bars made the big machine simple to move through corners, and when you wanted that power it was so incredibly accessible. The distances that I usually look for when passing suddenly halved –– the shaft-driven engine easily launching me forward as if I were attached to a giant rubber band. There was a bit of grumbling if you tried to throttle up when in too high a gear, but by and large the machine was willing to move regardless of where you were on the shifter. The engine offered a tractor-like sound and reassuring clunks when hitting gears, something that I’m sure sportbike guys might moan about but that, as a cruiser lover, I thoroughly enjoyed. I’m 6 foot 1, so obviously the bike’s height was something of a selling point to me. Another person in our group was a good 7 to 8 inches shorter than me and actually chose to hop off the bike at stops, because he could not put feet to ground when seated. He managed this in part because he was a superior rider (I saw him take a corner at such speed it made me feel queasy) but also because the Tiger Explorer XC’s weight is so well balanced. …until you get on the motorway. There you find the bike’s biggest flaw. Once your speed starts to crawl above 75 mph the Tiger Explorer XC begins to dance, swaying in the turbulence of cars and trucks like an American newsman reporting from a hurricane. Because I am used to the bum-clenching gusts that hit a person when crossing the Severn Bridge, all this kicking around didn’t bother me too much. But it was visible to other riders in my group and made them feel nervous for me. And it made me nervous to think of how terrifying it would have been had there actually been any wind at all that day. I mean, if this thing was jumping so much in the wake of a big truck, what would it be like to ride in the great exposed space of the Severn Bridge? Or how would it handle the valley gusts that plague the A449? Maybe the weight of a passenger and luggage would better anchor you, but on your own it would be hell. It’s a fatal flaw that I simply wouldn’t be able to overlook. Which is too bad, because the Tiger Explorer XC is otherwise one of the best bikes I’ve ever had the pleasure of riding. Ugly. But an absolute joy to ride. If I lived in the United States, where it is possible to still travel efficiently on slower roads (the slow roads in the UK are really slow) I’d very seriously consider overlooking the aesthetics of the bike to shell out the cash. As is, though, it is simply a bike that has helped me get a better sense of the features I’d love to have. It is not a bike that I would buy. Pretty much. Off the motorway, the Tiger Explorer XC is 100-percent an ideal vehicle for tackling British road and weather conditions. I suppose it makes sense that a British company would know how to make a bike for the British environment. But once you approach the speeds that Britons achieve on their morways it becomes a nerve-wracking disappointment. Yes, as long as I’m not looking at it. I loved being in the saddle of this thing. Absolutely loved it. But when taking it in visually I felt almost embarrassed. This bike is the equivalent of having a really ugly wife who is really, really good in bed. Yes. I’ll state that unequivocally. It’s not as stable at high speed, but even so it is immensely superior to my trusty Honda CBF600 SA. If someone were to offer me a Tiger Explorer XC at a discounted price I would jump at it without hesitation. I could avoid motorways or just learn to love dancing at high speed.